Been wondering how to handle all the details involved in planning your wedding? 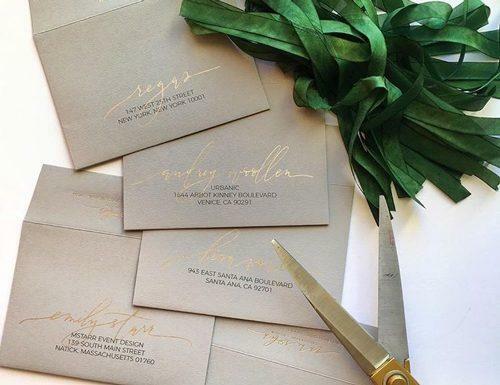 Look no further; here we’re diving into that one detail on how to address save the dates. So, you’ve finally locked in on a date, synchronized your every plan to the millisecond before that day. The next step is to send your invitees their save the date cards. Never done this before? 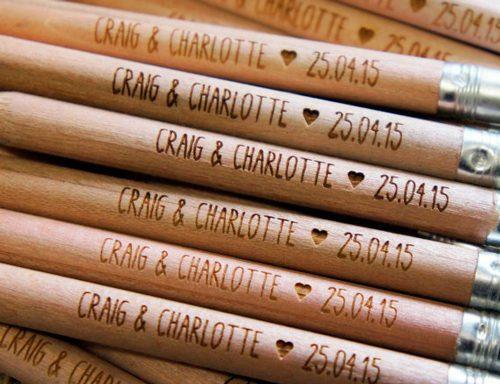 Let’s go over some save the date address etiquette, shall we? Do You Actually Need Return Address On The Save The Dates? Some people mull over the design of the cards. Should it be formal, casual? Should the addresses be hand-written or printed? This particular detail on how to address save the dates depends on budget and availability. This is because in the absence of a free calligrapher or someone with a great handwriting and steady hand, printing is much cheaper. Handwritten addresses are usually more impressive though and give more flair. 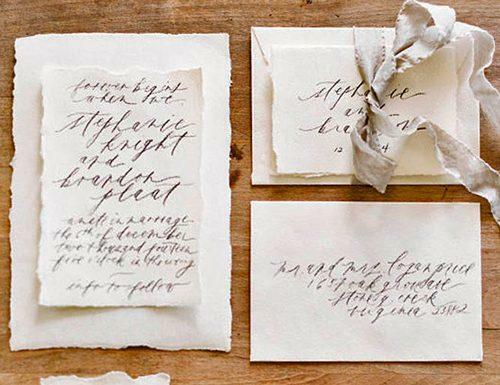 You can decide on printing or handwritten and any font of choice. However, black is the traditional color in save the date address etiquette. 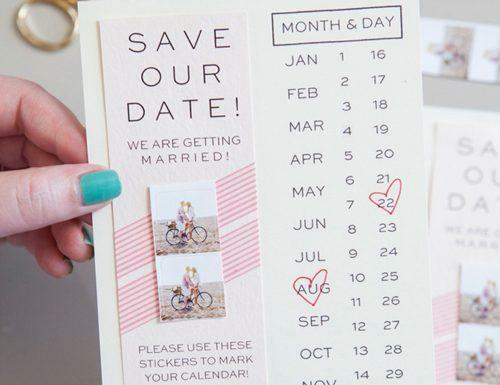 There have been some questions surrounding save the date vs invitation. For instance, save the date cards vary from the wedding invitations in that they’re more like pre-invitation cards. Wondering when do you send out save the dates? These cards are usually sent 6 – 8 months before the wedding ceremony. This gives your guests the time to clear their calendars and their schedules. It also gives them some extra time to decide on if they will attend or not. Plus, time to plan any travel that if needed. However, not many people are experts in wedding planning, and lots have just this one time to get everything right. Preparing and addressing your save the dates cards can be a fun adventure for any couple. While some people debate on the importance of save the date cards, the ultimate wedding checklist is incomplete without it. This particular step in the process will help you determine how many guests to expect. There are also formal and casual methods on how to address wedding save the dates. 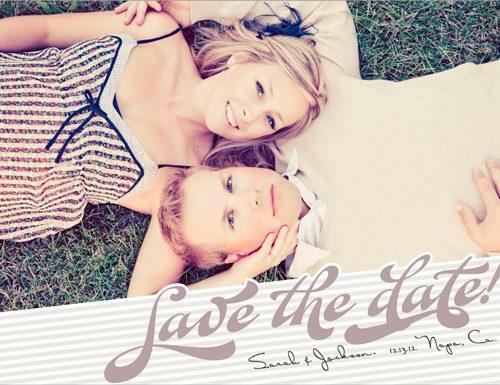 Your save the dates envelopes can be formal to match with your wedding theme and colors. However, if you haven’t quite settled on the theme yet, you can just go casual and have fun with it. Moreover, you can even add some inspirational wedding quotes, depending on your preference. On how to address save the dates envelopes, there are a few pointers you can use. -Write the names of your guests in full. The names should be the first line on the envelope. In a case where too many people from one household are invited, send them their individual save the dates. -Address each guest by their professional title, “Mr.,” “Mrs.,” or “Ms.” This goes for formal save the dates. If you are choosing a more casual look, the formal titles can be left out. -Write children’s names on the second line, right below the names of their parents. -Spell out addresses completely without abbreviation, e.g. street instead of St.
-Remember to include the state, city and zip code in the last line of the address. -Don’t forget the return address on save the dates. This should be either on the back flap or the top left-hand corner. Following the guidelines on addressing save the dates, there are also methods of addressing these cards to each class of guest. Like in most mail, the first name should precede the last name. When addressing save the date envelopes, it is necessary to include the person’s title if you’re choosing formal. For casual save the dates, you can choose to include or leave out the title. -Single male: Joshua Carlyle, or Mr. Joshua Carlyle. -Single male or female with a guest: Just have to add the phrase, “and Guest” after the name of your guest, e.g Miss Sherry Temple and Guest. There are different types of couples who undoubtedly attend weddings. How to address a letter to a married couple is quite different from addressing to an unmarried couple. We also have heterosexual couples and LGBT couples. Couples with same last name and couples with different last names. -Married couples: Henry and Sasha Fullman, Mr. and Mrs. Henry Fullman, or Mr. Henry Fullman and Mrs. Sasha Fullman. -Married couples or dating couples with different last names: Ms. Quinn Philips and Mr. Noah Jensen. -LGBT couples (same rules as the former): Mr. Sheldon Wise and Mr. Nicholas Bremer. Sometimes how to address save the dates for families can be quite tricky or confusing considering the inclusion of kids’ names. The names of the parents first, with those of the kids in the following line. Below is a simple example which should be pretty clear on addressing save the dates to families with children. This falls in line with the save the date address etiquette. Also, do keep in mind that children under 18 are usually included in the parents’ save the date. However, children 18 and above should receive their individual save the dates. 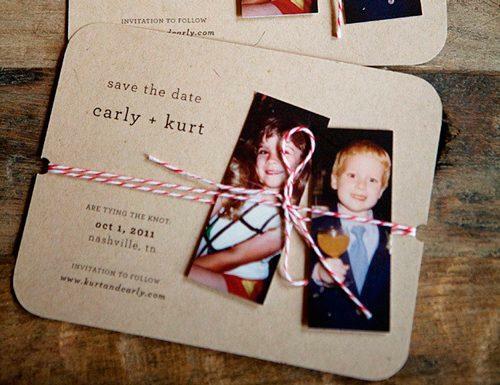 Certain details, if overlooked, could be seen as a faux pas in save the date address etiquette. For instance, save the dates should be sent early. Six to eight months before the wedding, as we mentioned earlier. Also, even a few months earlier for destination weddings. However, they should also not be sent out too early. A whole year in advance might be too early to send. This is especially since some of your guests might not be able to plan that far ahead. Whose name goes first on save the dates? When addressing to couples with different last names, place the person with a closer connection to you first. For families, as mentioned before, parents names first, and children follow. While this is traditional, the arrangement of the names can be left to how you see fit considering which comes first or last. One detail at the top of the list of save the date address etiquette is to remember to send save the dates to your groomsmen and bridesmaids. You might be hundred percent sure about their attendance. However, it is only proper that they receive their individual save the dates. While it might be okay to include a few lines of short wedding wishes on your save the date, do not add registry information. This would be a definite faux pas as gifts are not compulsory. Links to the registry can go on your wedding website or even a corner of your wedding invitation. Send save the dates to guests you are sure you want to attend. Also, give singles the option to bring a guest if your budget can handle it. We are only human and capable of making mistakes. In particular, there are several common mistakes regarding save the dates and wedding addresses etiquette. Top on the list is forgetting to send the save the dates. If this happens and the time to send them has passed, do not fret. You can just move to sending the wedding invitations instead. Another kind of mistake with save the dates is being unsure of who to invite and the spell etiquette for names and addresses. Thus, ensure to spell names and addresses accurately and clearly, including their names on the card. This enables families with uninvited children or even spouses, plan better for the occasion. The third possible mistake is that of having your schedule change after the save the dates have been sent out. When this happens, it is a good idea to prepare and send another batch of mailings. It is also a good idea to publish these changes on your wedding website. However, an even better idea is to pick up the phone and begin to make individual calls explaining the situation. 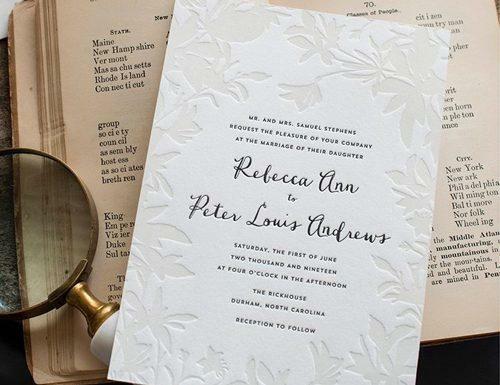 In general, proper save the date address etiquette requires that the right information reaches all guests. Therefore, leaving this adjustment to either mistakenly fall into junk mail or in snail mail is not an option. Also, not all of your guests have the extra time to go through your website as often to notice the change. So, do recruit extra help from family if you need, to make the individual phone calls. A return address is necessary on save the dates so guests can respond. While it is possible to write non traditional wedding vows, there is a traditional way of writing the return address on save the dates. You can also write the return address in the top left hand corner of the envelope, but it is better on the back flap. The return address should be that of the person or people chosen to handle responses. This could be the mother or sister of the bride, or even the maid of honor, depending on who was chosen. In a traditional wedding, however, the bride’s parents are usually appointed to receive these responses. The choice is after the discretion of the couple or the planner. All in all, there is quite a lot to cover in general on wedding addresses etiquette. However, the key is to create a concise checklist around your plan and stick to it. Thus, be sure what you need to do within your budget and the available timeframe and do it. Overcoming tasks like understanding how to address save the dates and how to send them are just one step in the to-do list. Also, checking details on the list is one more step towards having a fabulous wedding.